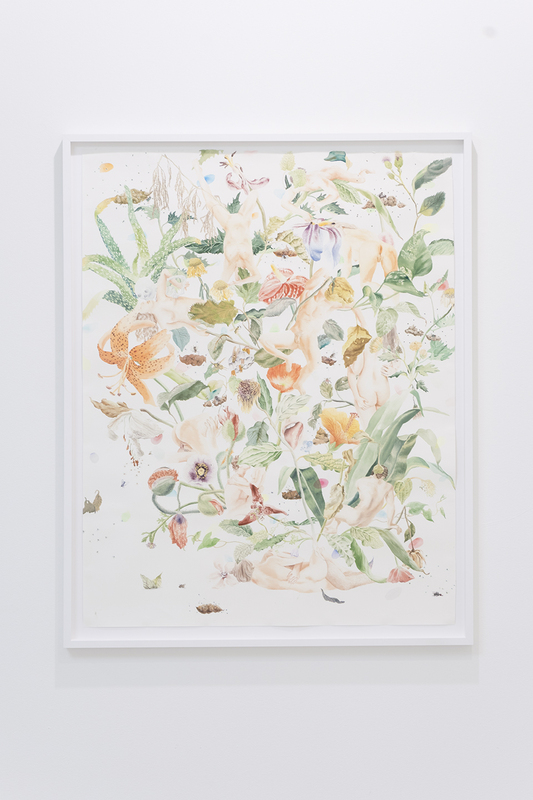 In the large-format watercolour "Love Explosion 3" the Japanese artist, living and working in Austria since 2005, fuses naked figures in pornographic poses and floral tendrils into ornamental patterns of hedonistic splendour and wanton lust. Intermingled between them is excrement surrounded by numerous small flies. Maeda orchestrates these images with a significant power to transform. Representing faecal matter as the end product of a biological recycling chain shakes the set rules for cultural behaviour, taboos and experiences of disgust. Yet the artist does not want to provoke or even revise a prevailing concept of art. In terms of French ethnologist Arnold van Gennep’s sociological concept of the ‘rites of passage’, Maeda deals fully with overcoming individual boundaries - unique fates are intertwined in sociological structures and a spatio-temporal framework. 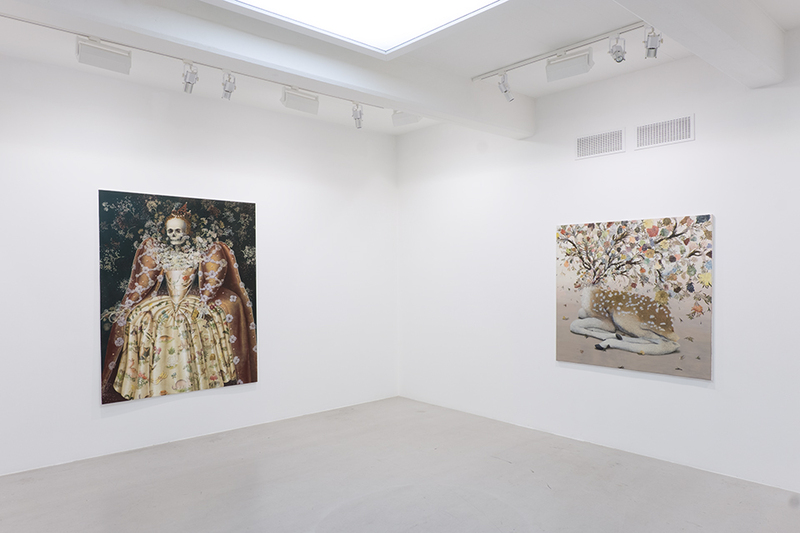 Maeda also finds inspiration in the western tradition of painting monarchs in which she can experiment with her existential aesthetic between life and death. The paintings of the English icon Queen Elizabeth I and Maria Eleonora of Brandenburg exhibit the ornamental style of ‘horror vacui’, typical for Maeda. Taking traditional pictures of monarchs from art history Maeda develops upon this aesthetic- skulls are now enthroned on the skeletons of the regents dressed in magnificently decorated robes. The bony bodies dissolve peu à peu into a sea of delicate plants. The artist herself describes transience as part of an unending process of metamorphosis - she cultivates Asiatic religious beliefs that regard being born and dying as part of a larger cycle of life and permanent change. Haruko Maeda(b.1983, Tokyo, Japan) lives and works in Linz, Austria. Maeda graduated from the Kunst Universität, Linz in 2012. 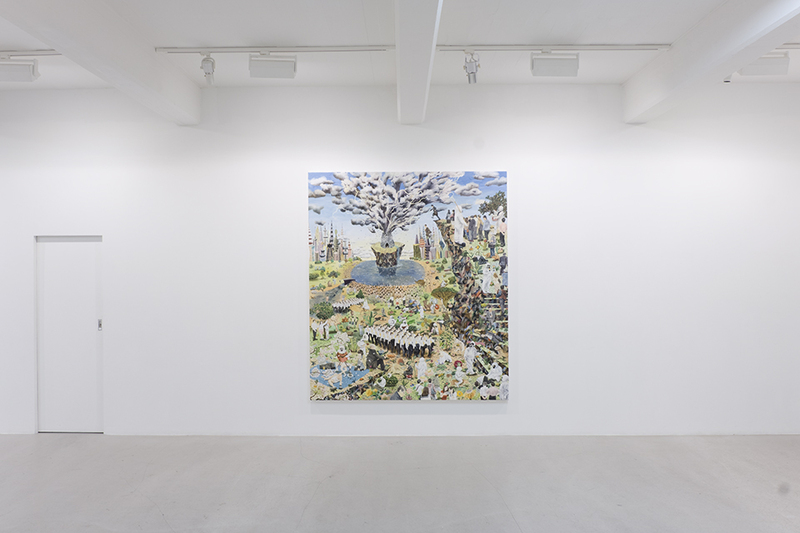 Recent solo exhibitions include Beim Dritten Du, Kluckyard, Vienna, Austria (2017);Traces of Paradise, City Gallery, Traun, Austria (2016); and Haruko Maeda, Christian Larsen, Stockholm, Sweden. Maeda was included in Making Windows Where There Were Once Walls - Robert Runtak’s International Collection, Gallery of Fine Arts, Ostrava, Czech Republic (2017); Alice’s Twisted World, OÖ Kulturhaus, Linz, Austria (2017); Le Mal des Fleurs, Stilwerk, Vienna, Austria (2016); Das Letze im Leben, Hofburg, Innsbruck, Austria (2015); 3x3, Galerie, Graz, Austria (2015); Barockt, Kulturhaus Stockholm, Sweden (2014). 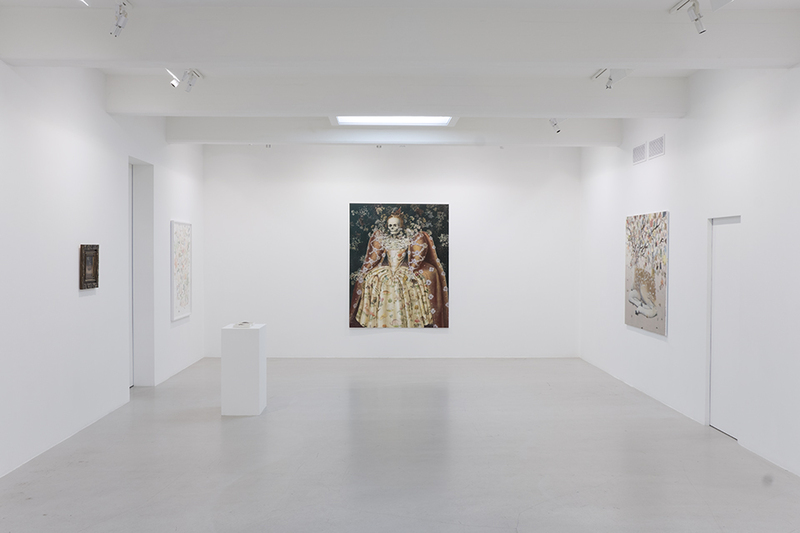 Her works feature in many private and public collections including the Olbricht Collection, Berlin, Germany, Runtak Collection, Litomyšl, Czech Republic and Lower Austrian State Collection, Krems, Austria.